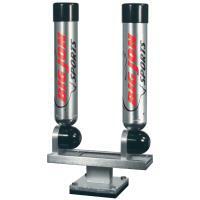 Cannon Downrigger Mount Rod Holder is a dual axis rod holder that mounts between the mounting base and swivel base of your Cannon downrigger for ultimate rod positioning. 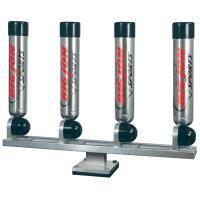 A pistol grip release allows for quick, one-handed angle changes. 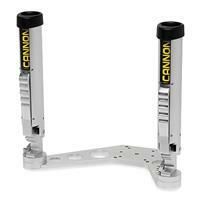 The Cannon Front Mount Dual Rod Holder fits all Cannon Downriggers with a 1 5/16" diameter boom, including telescopic booms. 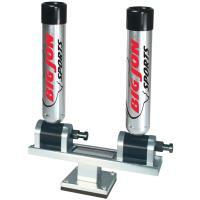 Each rod holder is independently adjustable and features a gimbal and drain hole. 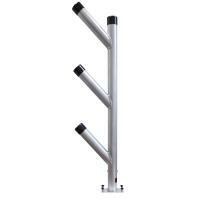 Comes with two aluminum tube clamps and a dual mounting bracket. 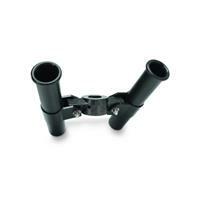 This rod holder features heavy duty plastic construction and is Cannon part number 2450163. 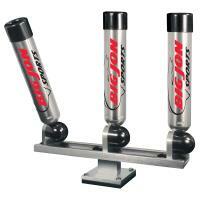 The Big Jon Pedestal Mount Dual Multi-Set Rod Holders feature two of the Multi-Set Rod Holders mounted on a pedestal base. 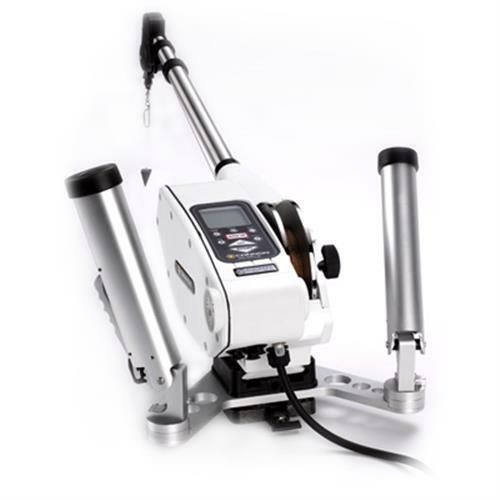 Cannon Downrigger Mount Rod Holder is a dual axis rod holder that mounts between the mounting base and swivel base of your Cannon downrigger for ultimate rod positioning. 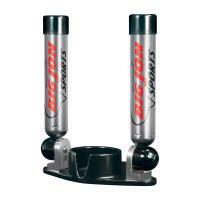 A pistol grip release allows for quick, one-handed angle changes, and the innovative ratcheting adjustment system allows you to easily pull the holder to a vertical position. Rotates a full 360° for added versatility. Compatible with all Cannon downriggers (excluding Mini-Troll). 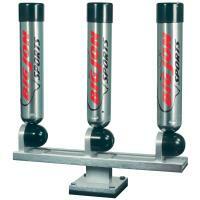 These Rod Holders are 10" in length.